2K Sports has pushed live another patch for NBA 2K19 across all platforms. It’s the fourth update of considerable substance for the game, bringing updated courts to ongoing careers (uniforms were added in a previous patch), removing pushing from neighborhood games, making a few other adjustments to gameplay, and updating the likeness for six players. ♦Updated court floors will now automatically appear in MyCAREER/MyLEAGUE/MyGM save files. Existing save files we be able to enjoy the updates made year-to-date as well. ♦Once again can properly edit lineups on the loading screen when loading into a game. 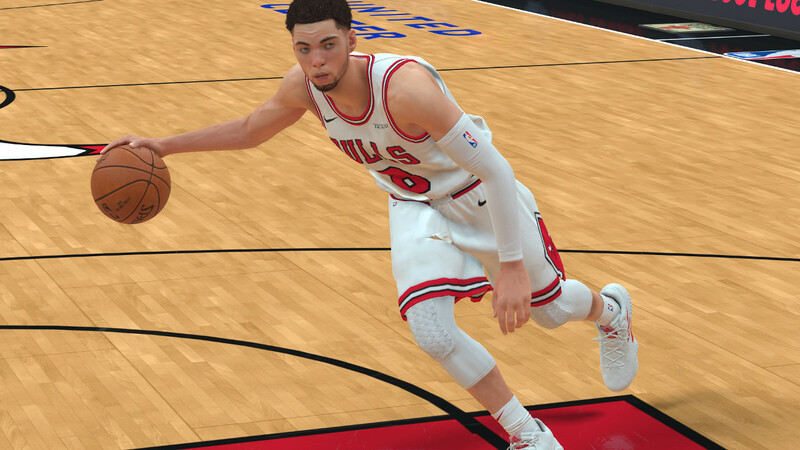 ♦Hair and Likeness updates for: Derrick Rose, Michael Beasley, Zach Lavine, Rodney McGruder, Willie Cauley-Stein, and Richaun Holmes. ♦Removed heavy pushing/shoving from Neighborhood games. ♦Reduced ball collisions with lower legs and feet. ♦Fixed an issue that would cause players to sometimes play running off-ball collision sequences when they were standing still. ♦Fixed an issue that allowed on-ball defenders to occasionally pop to a stand while lying on the floor when colliding with the ball handler. ♦Added more variation to AI offensive play calling. ♦Improved the logic and usage of passes out of drives for CPU-controlled players. ♦Fixed a case where the megaphone would not function as expected on occasion when equipped. ♦The PG position is once again visible within the System Proficiency menu. ♦Addressed a hang that would occur when completing the Road To The #1 Pick Playoff Tournament (aka the lottery tournament) when the league had exactly 31 or 35 teams in the league. Existing saves that were stuck will now be able to continue forward.